The Sony Ericsson Yendo is still a couple of months away from launch and we hope the time is used wisely. Theres quite a few software-related things to polish. The sluggish user interface for one ruins the fun of having such a neat and good looking touch phone. 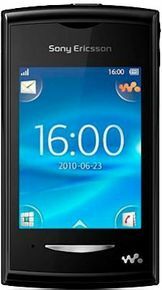 I am using sony ericsson w150i yendo sice 15 months... this is the worst mobile i ever got... always gets hanged, corrupted. for standby it takes hours n hours.. always waiting 4 opening msgs and contacts... no video Bluetooth.. no file manager.. cant use as an internate source to laptops.. low net browsing.. cant show pictures of facebook(pics get download in memory card,then we have to see, means have to log out).. cant download any games or softwares.. guys plz dont buy it.. thanks.. regards: Ganesh Bhujange.